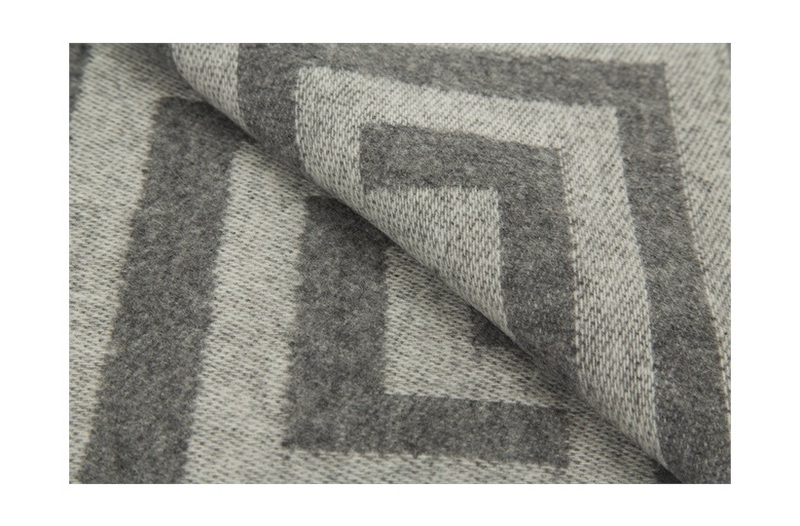 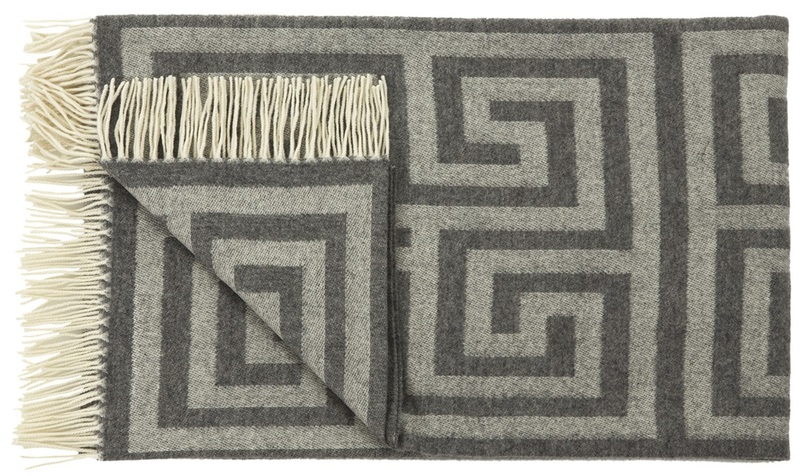 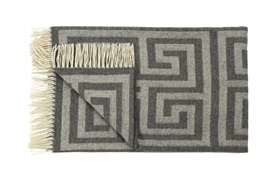 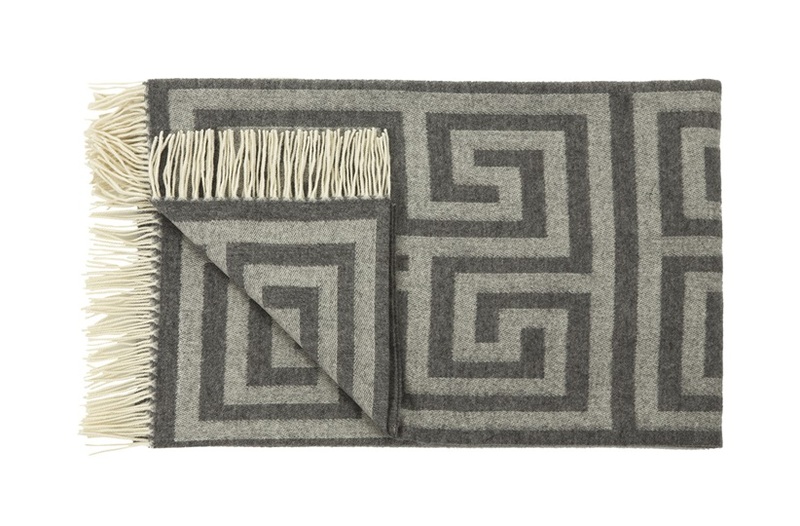 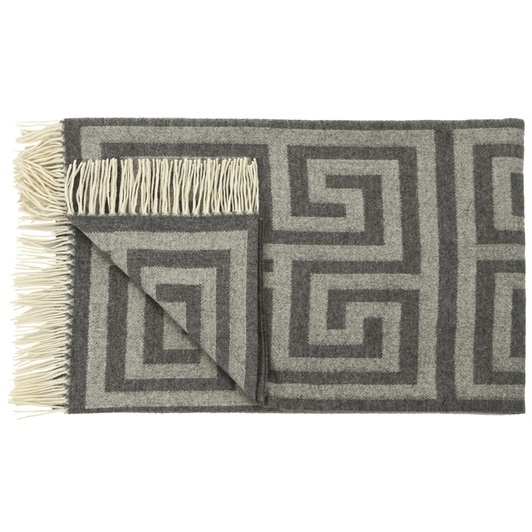 This geometric fringed throw is made from 80% wool and 20% cashmere, making it impeccably soft and warm for cooler days. 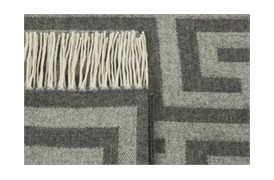 Its deco-inspired geometric weave and rolled fringed edge adds a touch of glamour while draped over a stylish armchair. Available in three colourways.